Because threatening to burn a baby with an iron in the far superior Pride and Glory isn't unbearable enough, screenwriter Vince Campanella and director Jeff Celentano move several depraved steps further by not just throwing a baby out the window but also making the mother watch just before the woman's throat is slit a nanosecond later. 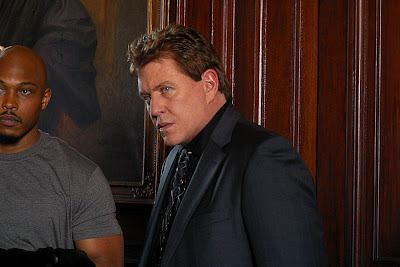 And while in any other case I would've preceded this information with the phrase “spoiler alert,” when it comes to this gritty ensemble drama, no alert is necessary as this excruciating scene is the crime chosen to open Celentano's Breaking Point. So, just like the Frank Sinatra anthem about “the city that doesn't sleep,” the introduction to the film's tone of despair, violence, and abuse, makes watching the rest of it a litmus test that's “up to you,” since in regards to baby throwing and throat slitting, “if you can make it there, you can make it anywhere." On the surface, 2009's Breaking Point seems to be a New York take on-- as the press release and box quote shares-- “Crash meets Boyz N the Hood.” Reading between the lines, the buzz translates to the idea that, overall the movie will concern several seemingly unrelated characters from all backgrounds whose connection to one another will be revealed in surprising ways a la Paul Haggis' brilliant Crash. Similarly, in the tradition of words like “urban” or “ethnic,” comparing it to Boyz N the Hood is a less than vague way of informing us that not only will the cast contain “a lot of black people” but that they will predominantly portray hoodlums. Since the success of Short Cuts, Heat, Magnolia, Crash, 21 Grams, and Babel, we've been inundated with so many sagas about overwhelmingly miserable losers that in 2009 they began either skipping the theatre altogether or playing for a premiere before landing on DVD as evidenced in Crossing Over, Powder Blue and now Breaking Point. Yet while Point is a definite improvement over Blue, without the star power of Over cast members Harrison Ford, Ray Liotta, Ashley Judd and others, it's most likely destined for late night Cinemax or Showtime viewings for eternity. 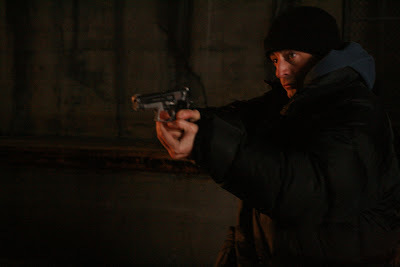 Additionally Campanella hinders his film with structural delusions of grandeur by including “everything and the kitchen sink” in his screenplay that needlessly employs back-story, exposition, and even flashback to the point that we're never sure exactly which story he wants us to focus on as it continues and doesn't engage us enough in any of the subplots to sustain our interest by jumping from one group of characters to the next. 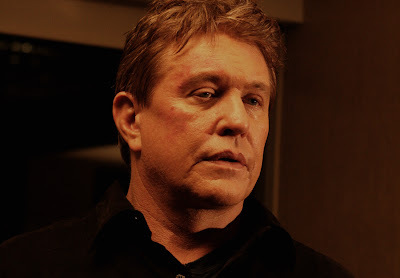 After the “shock for shock sake” introduction, we meet our antihero defense attorney played by the excellent Tom Berenger who nonetheless looks at times just as confused as we are in trying to seek the Point. 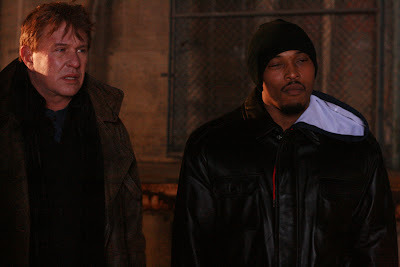 For, within the first twenty minutes alone, we ascertain that his character is not only a recovering drug addict but that he's lost his daughter tragically, is estranged from his wife, one mistake closer to having his law license revoked and also has to make the decision whether or not to pull the plug on his father who used to beat the hell out of him when he was a child. Basically, with only Berenger being counted so far, we've been given enough plot to fill a miniseries, which means everything is crammed unevenly into the film's less than one hundred minute running time. And with so much ado about his life story, we keep guessing which aspects are the most vital... and this is exactly the problem since the script should tell one story well, whether or not it involves subplots or fifty characters. 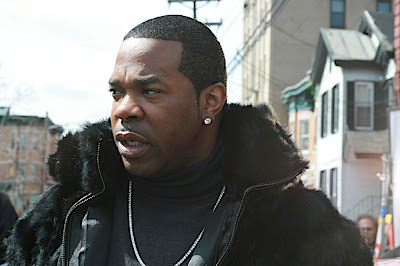 Yet by continually deviating from the main plot, which all ties back to the poor dead woman from the beginning and the connection between ruthless killer (a tremendously terrifying Busta Rhymes) and some of the most powerful people in the state government, the film rushes to an unsatisfying conclusion wherein both the characters and audience are shortchanged. 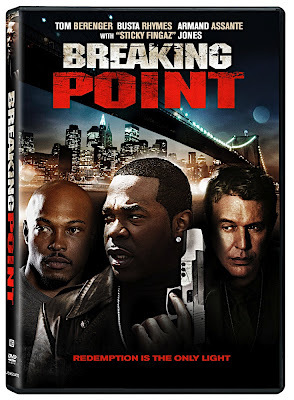 And considering the actual plot that unravels along with some impressive ensemble work by its diverse cast-- most notably from both Rhymes and Kirk "Sticky Fingaz" Jones-- Breaking Point disappoints on another level altogether since it had had so much potential. Had the screenwriter handed it off to another collaborator, taken a day off and then gone back with a red pen and pared it down to its essence story-wise, I think this particular interconnected mean streets tale would've made an effective mystery thriller. 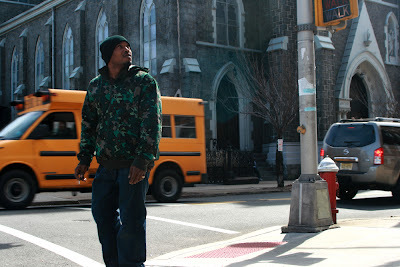 Essentially considered hopeless before it was even shown to audience, in any case, Breaking Point deserved a much better marketing campaign than "one film meets another" since this movie marks the first time in years of writing about cinema that I received a press release announcing a movie's theatrical and DVD premiere on the exact same day which incidentally were scheduled roughly one month apart. And although this fact is nowhere near as disturbing as villains attacking women and newborn babies, for filmmakers who view their movies as their own babies, most likely such a presentation is the equivalent of having the damn thing just thrown out the window.